Michael Hetrick's instant classic Euro Reakt has received a full upgrade for Reaktor 6.3! This comprehensive collection of 140 Blocks now has front-panel patching support, Rack support, NKS support, and 100 example Racks to get you started. To use every included Rack, make sure to also pick up a copy of Euro Reakt - Free Edition, which includes 18 Blocks not found here and additional Racks to explore! AFAIKT it's a paid, cables-up-front version of the free set available in Reaktor User Library. Meh... If it was sold via Plugin Alliance then I'd probably get it using the monthly voucher, but otherwise - nah. My understanding is that these commercial 'Rack' blocks will work in Reaktor Player so no need for the full version to use them. Opening up another revenue stream from people who have no interest in creating their own blocks/ensembles etc. Yes, they'll work in Player, but as far as I've understood this concept, you also have to buy them to use them in full Reaktor (for Racks).. ? The "new" official Partner Blocks Modules working in both applications. Reaktor Player and Reaktor 6. I think NI saw that the model works for Voltage Modular and that even VCV will eventually go that way (VST version will be paid), so why not grab a slice of the market? 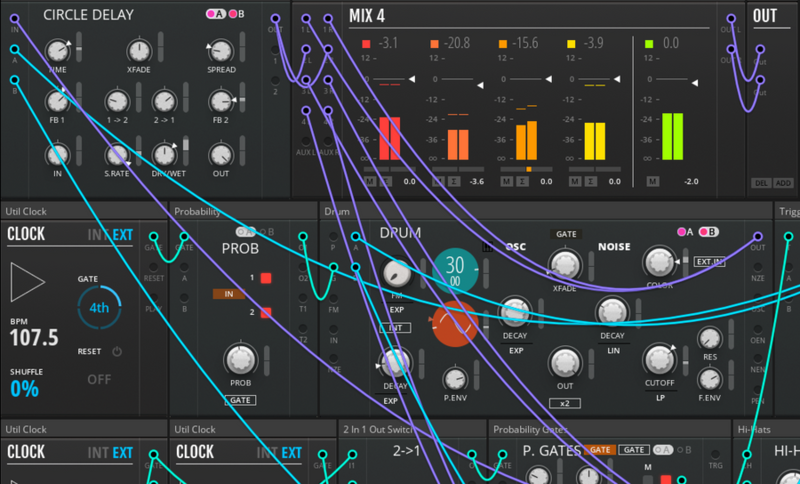 - $199 Reaktor 6.x - the full thing, closer to Max For Live where one can go as deep the rabbit hole as one wants. I agree its not a lot of money, but you get a lot of very high quality modules free with VCV- the amazing core modules (including the MI stuff) and a lot of very generous developers (then the pick and mix playground at 10-20 bucks for premium modules). Of course there will be a paid version of VCV soon (that also runs as a VST) but the free version that 'hosts' VST with the little paid host is pretty hard to beat- I have the full Reaktor but I prefer VCV as a framework- fast, simple, fully scalable and it just works really well with a pretty low CPU hit. well you get plenty of stuff in blocks itself that you dont need additional bits really, unless you want them. i think the two bundles (this and toybox) are great value for money given the number of modules in each.